SecuTime HRM is flexible and easy to use for small and medium businesses. By providing functions for personnel information management, leave management, loan & advances management and payroll are able to manage organizational assets. The grouping of these functions into one application assures the perfect platform for re-engineering and aligning your HR and Payroll processes. This function is the main controller of the system where the HR manager or other appointed personnel perform administrative tasks. It contains, defining organization structure‚ project maintenance, and information that serves as the backbone for the rest of the system. You can assign user rights to different personnel according to their duties. A complete employee information management system that enables HR administrators to utilize employee information productively. 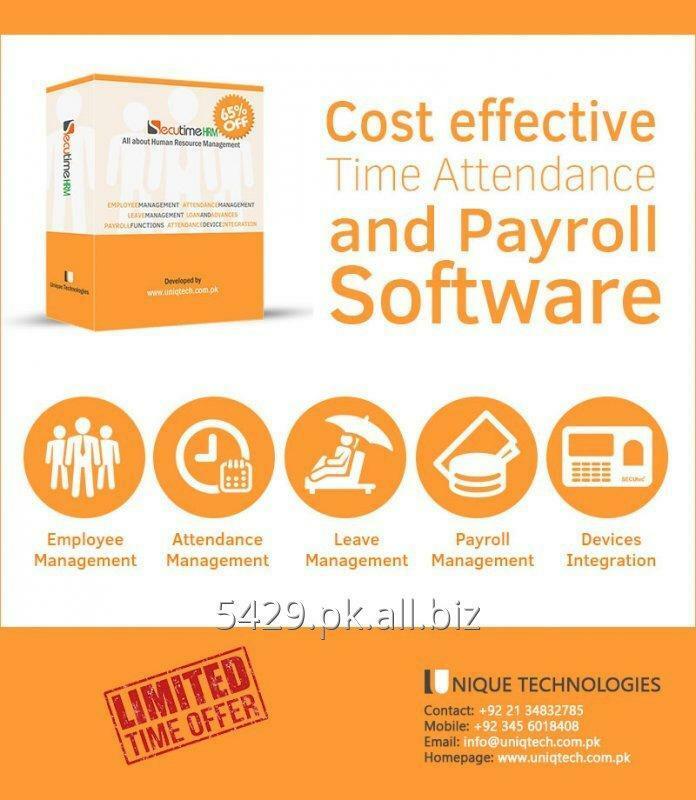 To reduce the risk of human error and ensure easy, impartial, and orderly approach in addressing specific needs without any confusion, SecuTime HRM time and attendance function have an accuracy rate of more than 99% versus manual systems by eliminating errors in data entry and calculations. It records employee's late arrival, early departure, holiday, leave, overtime and many other criterias. A full leave management function with extensive possibilities of defining leave types. It handles all leave entitlement‚ balance‚ history etc. It significantly control all leave related procedures‚ eliminates paperwork and saves costs. The loans and advances management function of Secutime HRM system helps the organization to manage the loans that they have given out to the employees of the company. It also allows the employer to define types of loans provided to the employee. It allows to define specific numbers of installments based on approval from the head of departments or organization. The payroll process refers to an employee’s financial records which includes the salaries, allowances, bonuses, deductions, and net pay. These records is maintained and kept by our system for employer. Income tax calculation is available with pay slabs defined by FBR. We will update these tax slabs if any changes made by FBR. Also EOBI and SESSI deduction is available in our system. We initially integrated this software with SecuTec and ZKTeco brand biometric attendance devices. We can integrate any biometric attendance device with our SecuTime HRM to import records direct from devices by providing SDK. Many of the large companies offer a one-size-fits-all plan, SecuTime HRM offers custom reports and remains flexible to meet your individual needs. Whether you’re a one-person company or you employ several hundred, time is valuable. SecuTime HRM guarantees you will save time by reducing the hours spent producing payroll information and preparing payroll registers. We love to answer any kind of questions and queries, so feel free to discuss your business problems with us.